Shame the producers of a SyFy zombie drama did not stick around Bremerton after filming aboard the USS Turner Joy recently. They could have found the disrepair of Bremerton’s former East High School campus fitting for scenes of a post-apocalyptic world. 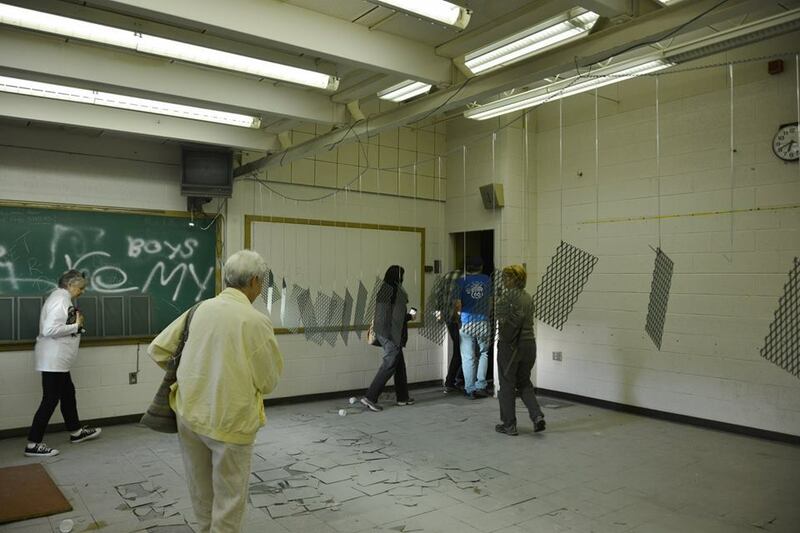 About 100 of you came with me to the old school of Wheaton Way last Tuesday to tour the decaying school, and discuss a way forward to relinquish the property of a 125,000-square foot carcass we all agree is holding it back. 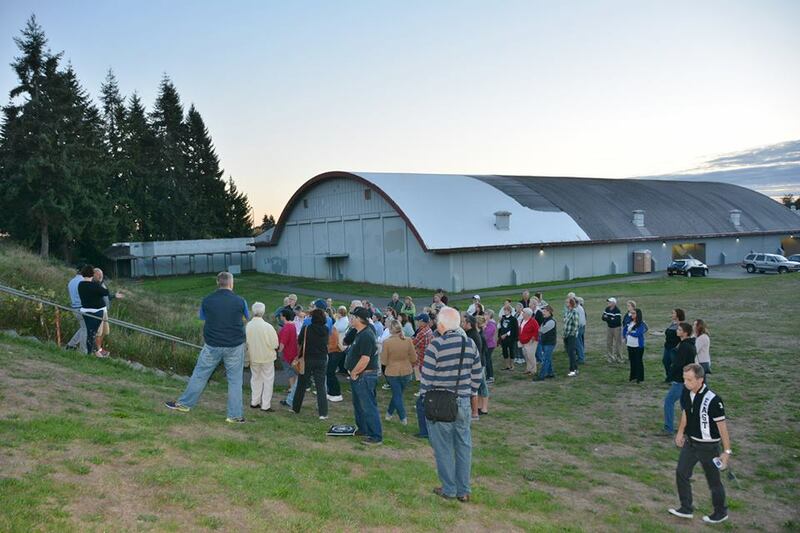 Many ideas have been floated for the property, owned by the Bremerton School District. I also do not want to undervalue the amazing things that are already happening there, primarily a teen center, soon-to-be renovated gymnasium and a number of sports fields already teeming with practicing youth. “We’ve got to figure out a way to get those buildings down,” Aaron Leavell, Bremerton School District superintendent, told me. Leavell said a survey in 2013 found it would cost about $1.5 million to tear down the building. The district doesn’t have the money to complete the job right now but would like to take care of it “sooner rather than later,” Leavell acknowledged at our Story Walk last week. “As time goes on, things don’t get cheaper,” he said. The hard part isn’t the demolition work itself. It’s the abatement of asbestos, a once commonly used construction material now known to be carcinogenic. And there’s a lot of it in the building: in the ceiling tiles, the floor tiles, the downspouts on the gutters and even in putty used in the window seals. With those environmental concerns in mind, Leavell has been meeting with Bremerton Mayor Patty Lent to find a solution. They’ve even held a meeting with officials from the federal Environmental Protection Agency in an effort to identify possible grants available. While the property’s not a Superfund site, Leavell believes applying for federal grant assistance is worth a shot. They’ve completed the first phase of the grant process, he said. 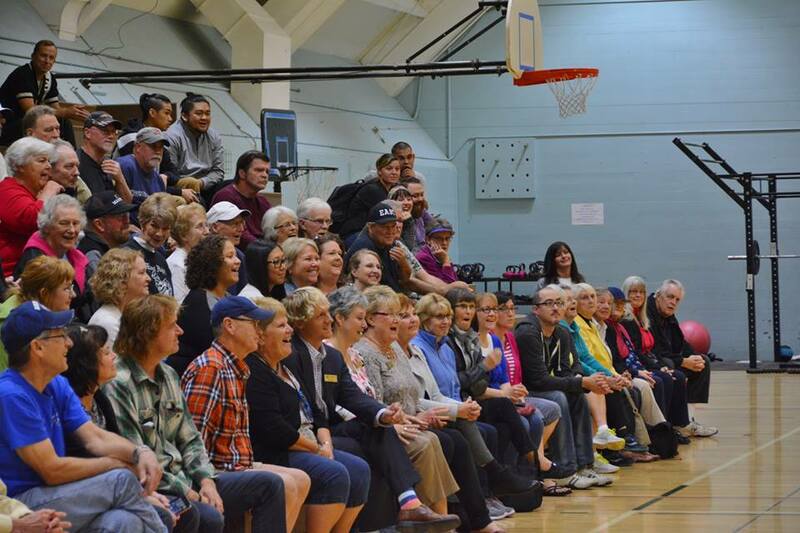 The good news: the historic gym’s not going anywhere. Photo by Mark Morton. “You never know until you try,” Leavell said. The superintendent said he and the school board are open to discussions for local funding, to include the possibility of a new capital levy when the existing one expires. 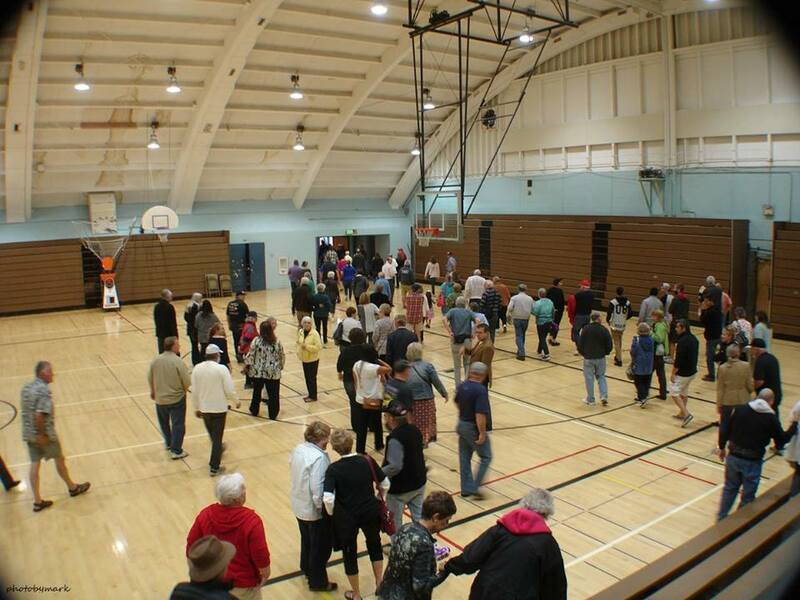 Notwithstanding community support for myriad possibilities there, Leavell added that nearby View Ridge and Armin Jahr elementary schools aren’t getting any younger. Perhaps a new school could be built there, too. At last Tuesday’s Story Walk. Photos by Margret Mountjoy. “Everybody recognizes the potential for this property to really be the eastside hub for great things,” he said. The operation of a school has proven problematic in the past due to its location fronting heavily traveled Wheaton Way. This is a commercial corridor not conducive for institutional gatherings. This idea seems to me like a lose lose situation. The City loses potential business taxes and the school district develops in an unsuitable area. Why not split the property? Leave the school and the gym to the demise of a developer and build on the eastside of the property for future institutional needs. Just out of curiosity: With the YMCA at the top of the hill serving teen activities what is the attendance and use of the new teen center? Why suddenly decide we have a problem? How many years have we ignored it? Do we have someone interested in the property?